Sheesh Ludo Star is fun and hilarious game to play with friends and family. It is a new and unique type of board game, lets you share some wonderful time with your loved ones. Don't wait any further, get the dice rolling to be the king of Board Games. It is also derived from Ludo, Pachisi, and is very similar to a Spanish board game, Parchís. This game has stayed popular throughout the ages in Arabian countries, varying only a little in its game structure. 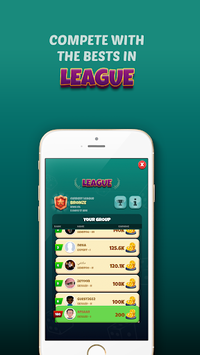 The game is played between 2 to 4 players and you have the option of playing the game against the computer, against your friends, or even against people from around the world. - How to win DICES? Complete quests and get chest that gives dices. 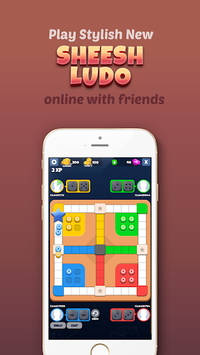 - Multiplayer 2 and 4 player Real-Time Sheesh Ludo. 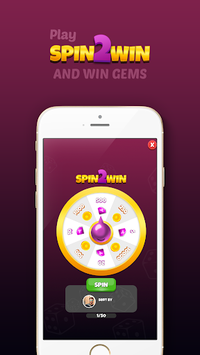 - When gems / gold by spinning the 'Spin2Win' wheel. The objective is pretty straightforward; each player gets 4 tokens, these tokens must make a full turn of the board and then make it to the finish line. Whoever gets all four tokens to the end first is the winner. However, each move can only be made based on the number decided by casting a six-sided dices, and each token can only move out of their home by casting a six. Additionally, the competition factor of the games is upped by the fact that while moving if another player’s token lands on the same square as your token, then your token will automatically be sent back home and you’ll need to roll a six again. If you like our game Ludo Star, then Sheesh Ludo Star is going to be crazy. Download this multiplayer unique board game now.